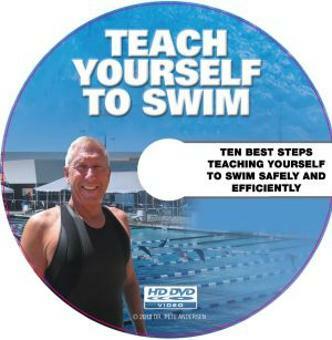 Start safely at home without a pool using easy-to-master 1-minute steps using your Kitchen Sink, Dressing Mirror, Mattress, and Bathtub to learn all the basic skills without fear. 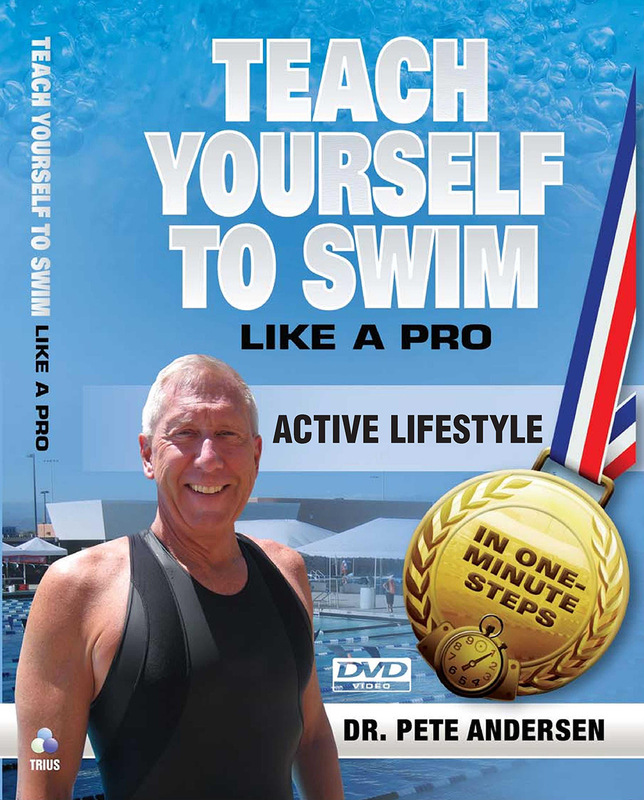 Then easily transfer those same familiar steps to the shallow end of a pool or lake where you can stand up to master your floating, stroking, and rhythmical breathing. Save money so your entire family can learn to swim together and have more safe fun. Affordable $27 package includes 288-page illustrated Book & 1 DVD 75 min. Valued over $500 in lessons per person. Ideal to improve performance in age-group, Masters, Senior Olympic, and triathlete swimmers. Efficient Mechanics Based on Physics Principles. Pro Demos by All-American and Masters World Record Holder Dr. Pete Andersen. Covers Starts, Turns, Finishes, Pace, Body Position, Mental Skills, Visualization, training examples, Diet, Tapers, Stress Adaptation. Affordable $57 package includes 288-page illustrated Book & 2 DVDs 3 hrs. 21 min. Valued over $800 in lessons. Complete curriculum all strokes in a system of easy-to-master1-minute steps based on physics & psychology of learning principles. Easy to understand methods and cues so you can teach yourself and your kids starting at home without a pool to overcome your fears and learn at your own pace to save money. Affordable $97 package includes 288-page illustrated Book & 4 DVDs 7 hrs. 24 min. valued over $1000 in lessons.